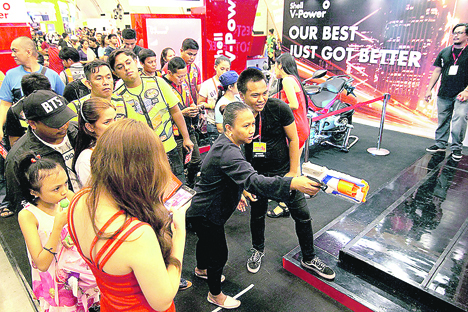 After a successful kick-off in Baguio City last July, Shell Bike Fair 2018 recently held an epic finale at the Philippine International Convention Center in Pasay City with over 3,000 riders, bike club members, and motorcycle enthusiasts from different parts of the country in attendance. “Shell Outriders is our nationwide search for the best bike club in the country,” notes Shell V-Power brand manager Mark Malabanan. Activities included fun booth and stage games and a helmet design and modified bike competition. Showing exceptional passion in achieving their collective goals, the Western Bicutan Riders club bagged the grand prize. They exhibited personal and social courage in various ways, benefiting not only their bike club but also the larger community. The club received a cash prize of P100,000.00 and fuel vouchers worth P50,000.00. Five brand new motorcycles were raffled off to lucky winners: two Yamaha Mio bikes, two Suzuki Raiders, and one Honda CBR.